Now, Fig Tree Books, a new publishing house dedicated to releasing quality fiction about the American Jewish experience, will publish Papernick’s novel, The Book of Stone (Publication date: May 12, 2015; original trade paperback; $15.95), an arresting psychological thriller set in pre-9/11 Brooklyn. As an estranged son attempts to find meaning and purpose to his life, his family’s dark history is peeled back against the backdrop of religious extremism. Protagonist Matthew Stone is a young man adrift, faithless, and alone. Upon his father’s death, he’s faced with a troubling legacy: his grandfather was a gangster and his father, who was constantly disappointed in and critical of his only son, was a disgraced judge. For comfort, Matthew turns to his father’s beloved books, which lead him to a group of religious extremists. As Stone becomes ensnared in this dangerous world, the FBI seeks his assistance in foiling the group’s violent plot. Caught in the crossfires of these powerful forces, haunted by losses past and present, and desperate for redemption, Matthew charts a course of increasing peril—for himself and for everyone around him. Papernick worked as a journalist in Israel during the mid-1990s in the aftermath of the assassination of Prime Minister Yitzhak Rabin. In the novel, he explores questions about faith and what incites a person to resort to terrorism – issues he grappled with while living and reporting at an epicenter of violence and terror. 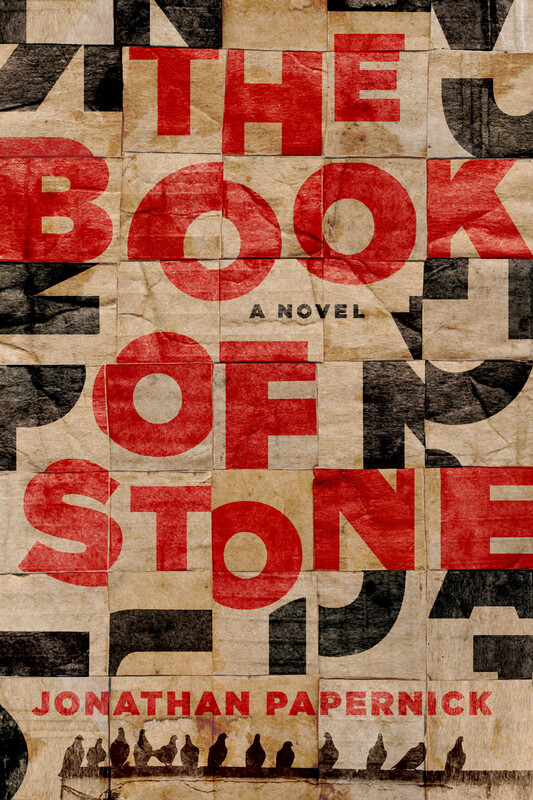 Provocative, surprising, and compulsively readable, The Book of Stone reveals the ambiguities of “good” and “evil” and will put Jonathan Papernick on the literary map. About the author: Jonathan Papernick has written for numerous literary journals including Nerve, Post Road, Green Mountains Review, Night Train, Blunderbuss, Folio, and Confrontation. He has taught fiction writing at Pratt Institute, The Center for Creative Youth at Wesleyan University, Brandeis University, Bar Ilan University, Emerson College, and Grub Street Writers. A Toronto native, Papernick lives with his wife and two sons outside of Boston. Visit www.jonpapernick.com and follow him on Twitter: @Jonnypapers. About Fig Tree Books: Fig Tree Books sources, publishes and promotes high quality, commercially viable novels that chronicle and enlighten the unique American Jewish Experience (AJE) in three ways: (1) by selecting new voices that have not had the opportunity to publish fiction previously; (2) by working with authors who have previously published novels, novellas and/or short stories; and (3) by re-publishing works that have gone out of print.